The American writer Michael Lewis described the Irish bank bailout as a process of “normalising a freakshow”. This is still, at heart, the Government’s job. In the last year of the Fianna Fáil/Green administration, the freakshow was starkly evident. Everybody, including most of the cabinet, knew that the government was involved in a surreal pretence. The cries of “crisis, what crisis?” were Blatteresque in their absurdity. The only thing that’s changed now is that the absurdity seems normal. The effect of the general election was to send out the clowns and bring on the phoney lion tamers. The new Coalition has a whip in one hand and a chair in the other. It prods the bedraggled lion of State into doing a few half-hearted tricks of fiscal discipline while letting out the odd yelp of protest about punitive interest rates. 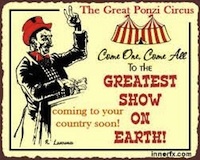 But it’s still essentially the same circus with the same ringmasters from the European Central Bank. It is a relief to have a Government with some energy and decency and with good intentions in most areas. Fine Gael and Labour still get enormous public credit for the simple act of not being Fianna Fáil. But their complete capitulation to the ECB – the abject abandonment of any pretence at renegotiating the “troika” deal – makes good intentions largely irrelevant. Let’s remind ourselves what the big story is. Boomtime Ireland was a debt junkie and the international financial markets were the pushers who fed this country’s addiction to cheap money. Because they got greedy and bought into the Celtic Tiger hype, German, French and British banks have an exposure to Ireland of $510 billion (€355 billion). To put this into perspective, let’s look at another country that had a mad property bubble and is now in deep trouble: Spain. The Spanish population is over 10 times that of Ireland. But the exposure of those same German, French and British banks to Spain is $620 billion. Proportionally, the big EU banks are on the hook to Ireland almost 10 times more than they are to Spain. If this is the problem, the “solution” is similarly disproportionate. The German, British and French banks want to escape the consequences of their own greed and folly. The primary purpose of the so-called “bailout” is to allow them to do this by turning the Irish State into a giant debt-servicing agency, regardless of the social or economic consequences for Ireland itself. In order to achieve this, each citizen in Ireland has to carry a share of this private debt that is vastly out of proportion to anything that has ever been attempted in a developed economy. Again, let’s remind ourselves of the figures. The State has mobilised an astonishing amount of resources to shore up a failed banking system and ensure it can meet its obligations to foreign bankers and investors. There’s €70 billion to recapitalise the banks; €33 billion to buy up their bad property loans through Nama; and €70 billion in liquidity borrowed on their behalf by the Irish Central Bank. That’s €173 billion: €96,000 for every worker in the State. Most of this – €10 billion of the recapitalisation and all of the Nama funds and liquidity – is expected to be repaid. The fact remains, though, that in the midst of a deep economic crisis, every worker is underwriting close to €100,000 for the banks. If anyone had suggested three years ago that this could – let alone should – be done, they’d have been awarded honorary citizenship of la-la land. Yet it is now almost beyond discussion. It is simply the way things are. In my most pessimistic predictions after the election, I suggested that the new government would be given the token concession of a 1 per cent cut in the interest rate on the so-called bailout and fobbed off with promises of a future review. It seemed unimaginable that the troika would not feel obliged to make some formal gesture of acknowledgment that there had been a democratic election in which people had voted overwhelmingly for a renegotiation. But it didn’t. The Government has now given up even on the pathetic hope of being given a sympathetic pat on the head and a lollipop to keep it from screaming. Its submissiveness has been rewarded with the contempt that utter subservience deserves and inevitably receives. The Government’s only response to this freakshow is to avoid talking about it – hence the panic when Leo Varadkar stated the bloody obvious. The new line is that the Government will wait patiently until 2013, when the Germans have promised a new regime for the resolution of banking crises. The problem is that by then we will have shelled out vast amounts of money we don’t have. By the end of this year alone, another €12 billion of unguaranteed, unsecured senior bank debt will have been repaid by a Government that is imposing obscene conditions on carers, the sick and disabled and vulnerable children. That’s what it means to be administering a country on behalf of the ECB.